Literally translated bonsai means “planted in a container”. During thousands of years bonsai cultivation meant more than raising a plant in a container: it was a true art. 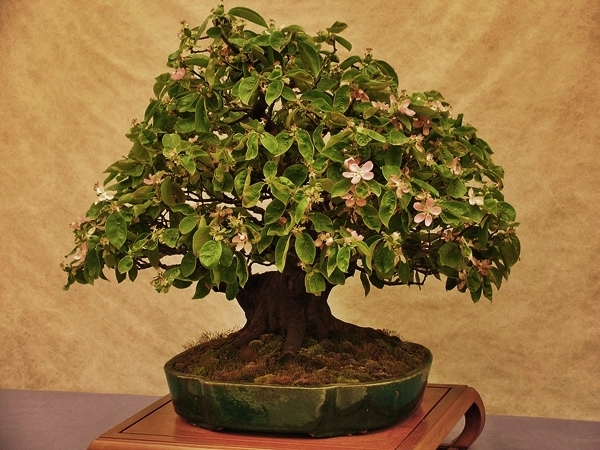 In ancient times only the high ranking people like priest or aristocrats, enjoyed the beauty of a bonsai. 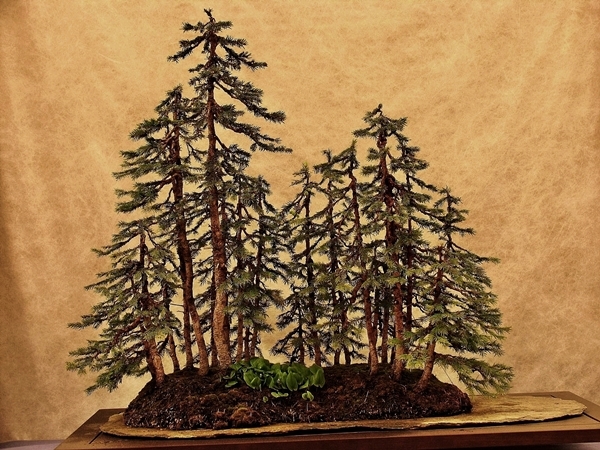 Nowadays these miniatures trees cultivation become an artistic hobby practiced by a large amount of people. 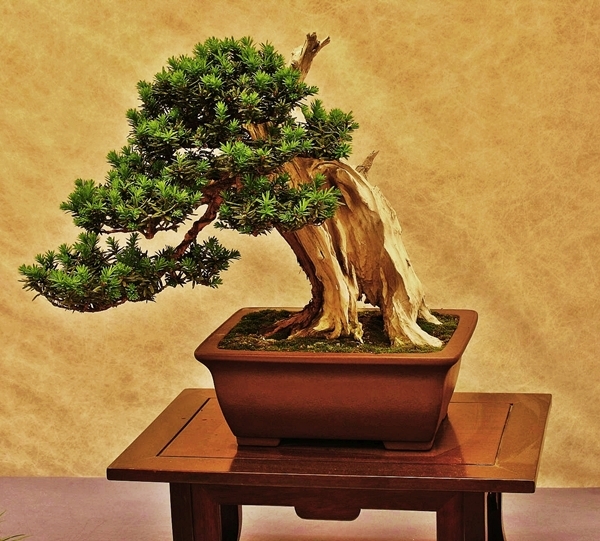 Still only few people treats it as an art and dedicates their time and efforts to create really impressive bonsai. The art of bonsai cultivation was brought in Japan during the 11th and 12th century, by the Chinese through cultural exchanges. The Japanese redeveloped an ancient Chinese horticultural practice under the influence of Japanese Zen Buddhism. 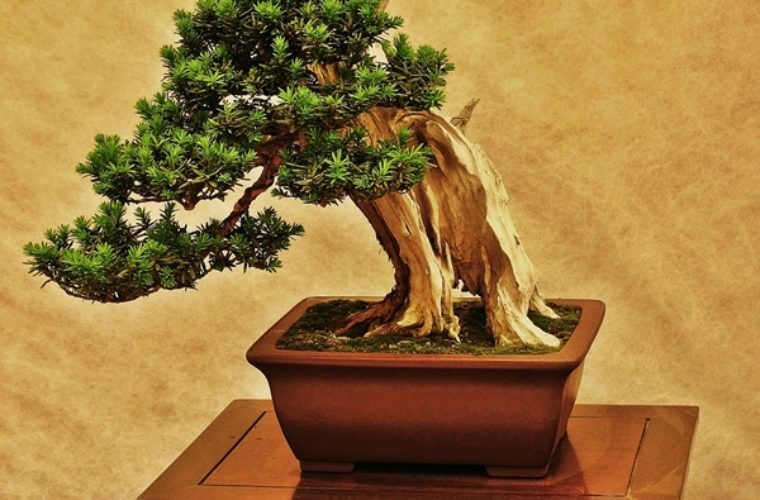 Bonsai trees were created as mystical objects that had the goal to create a miniaturized but realistic representation of nature in the form of a tree. Today for the Japan they represent an important part of the cultural and artistic tradition. Many people have the wrong idea that they are dwarf plants. They aren’t. Almost any tree species can be used to grow a bonsai with some specific techniques as: carefully restricting the fertilizers, the selective removal of leaves or needles, pruning the trunk, wiring the branches, clamping etc. There are many bonsai types according to different aspects: the height, the size, the trunk shape, the orientation of the main trunk, the number of the trunks and many other aspects. Basically there are about 12 classical types into which plant material can be shaped. But the most common styles are: formal upright, informal upright, semi-cascade, cascade, slanting, raft, literati, multitrunk and forest, but there are many other unusual types. There is no strict rule in creating this interesting trees. A single specimen can exhibit more than one style aspects. However the base for every bonsai construction should be the triangle form. The triangle suggests a path between Heaven and Earth, a path of spiritual values which man follows during the process of taking care of a sapling.